This is big and important news as the US continues to make it clear that its arm is around Israel’s shoulder. The news story linked below, from a left-leaning Israeli newspaper, explains the significance of this latest US action. The degree to which the Trump administration recognizes and continues to validate Israel’s security concerns is comforting. This Haaretz article provides but the latest example. 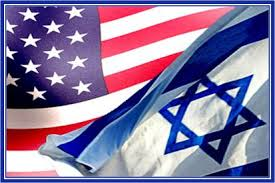 A survey by the non-partisan, well-respected Gallup Organization recently showed that US support for Israel continues at an all-time high, a reflection that the American people clearly understand that a strong Israel is in our country’s best interests.